Last week seventy dancers went to season 15 of “So You Think You Can Dance” (SYTYCD) Academy. Half-way through, that number was reduced to forty-one dancers. This week, they went through choreography by Travis Wall (Contemporary) and Mandy Moore (Jazz). Moore choreographed the remaining dancers in one epic group routine which is a first in SYTYCD history. The first bout of choreography the dancers had to master within 90 minutes came from Travis Wall who told them he’s not looking for robots. Wall said he didn’t want them to dance it the exact same way. He wanted to see how fast they could pick things up and was looking for “stand-outs”. Wall warned them that the combo that he gave them would take a lot of energy and drive and focus to learn. They agreed. 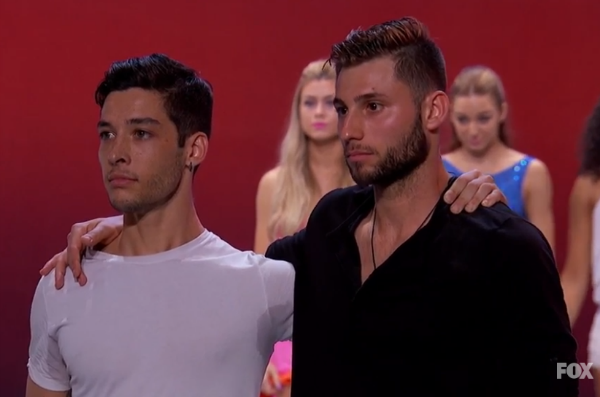 Ballroom dancers Allen Genkin , Cole Mills, and Dylan Leeman were in the first group to perform in front of the judges the Travis Wall choreography they had just learned. Dylan was let go after the other two dancers “out-performed” him as Nigel stated. Cole Mills amazed and impressed the judges and even “out-shined” Allen Genkin who was warned by Nigel to give them more next time. More dancers moved-on to the next day of the Academy including: Darius Hickman, Gavein, Dustin Payne, Kyle Bennett Jr., Victoria Nekom, Rebecca Troyak, Justin Pham, Salvik Pustovoytov, Magda Fialek, Jensen Arnold, and Stephanie Sosa. One group of female dancers to perform in front of the judges together were Tessa Dalke, Sydney Moss, and Hannahlei Cabanila. Sydney surprised the judges by her ability to stand-out. All of the judges said they couldn’t take their eyes off of Hannahlei. Travis said he would have noticed her in a back corner. However, Tess was having a hard time picking-up choreography. What’s more, with Contemporary being her style, the judges were expected more from her. Wall, who joined the judging panel, said she’s a beautiful dancer but doesn’t command the space and didn’t express herself in the movements. Nigel told her to “step-up” and brought her and the other two girls back for the next day. The next slew of dancers included Alexis Gilbert who Travis told seemed “ingeniune,” in her performance, and Peyton Albrecht who was too worried about the movements. Travis told him to “let got a little bit more.” Out of four dancers cut at this point, two were B-Boy Randorn, and Salsa dancer Melany Mercedez. The next group of dancers to go in front of the judges were ballet dancer David Greenberg, and tap dancers Eddie Hoyt, and Evan DeBenedetto. Nigel told Eddie that he’s one of the happiest dancers he’s ever met. However, Travis said Eddie was all over the place. Unfortunately, both Eddie and David were sent home. Dancers Bridget Derville-Teer, Emily Carr, and Genessy Castillo shared the stage to show off their Travis Wall routine in front of the judges. Nigel sang the praises of Emily Carr, telling her that he enjoyed her performance more than anyone elses. Even more complimentary was when Travis Wall told her that the Top 10 spot is hers to lose!! She responded back at him that he’s been a big inspiration for her. He told her that can’t wait for her to get onto the show so that he can work with her. Nigel commented to Genessy that it seemed like she gave-up during the routine. She answered that she was intimidated due to her lack of flexibility. Bridget got a critique from the judges that she didn’t expect. Travis said she wasn’t controlled and when the detail isn’t there, it becomes sloppy. Bridget was sent home. Nigel told her to come back though. A total of thirty-three dancers made it to the final round of Jazz choreography with Mandy Moore who famously choreographed “La La Land.” This was the ultimate test to have them choreographed in a big routine with each other. Something the show does each week. This, however, is a new round to the Academy. The big number included all of the styles where dancers danced thier own genre, then they all combined into one in the routine. Mandy Moore joined the judging panel and she helped to decide with the other judges who would continue on to the next round, one final solo from each contestant. 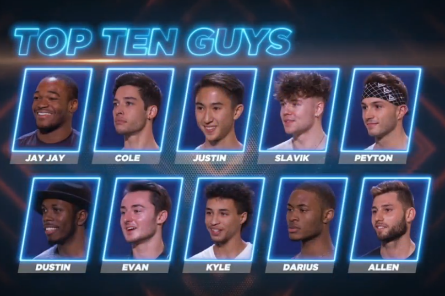 As in seasons past, and true for this season of SYTYCD, the Top 20 is made-up of ten men and ten women. But, this year, there’s a twist which Nigel revealed to the dancers at the very end of this episode. Jay Jay Dixonbey said he imagined himself on stage during the live shows. Mary told him that he’s one of the most talented dancers she knows. He was the first to make it to the Top 20. Genessy Castillo was given the first female spot in the Top 20. They were followed by: Magda, Jensen, Stephanie Susa, Dayna Madison, Sydney Moss,, Brianna Penrose, Chelsea Hough, Emily Carr, Hannahlei, Cole Mills, Justin Pham, Slavik Pustovaoytov, Peyton Albrecht, Dustin Payne, Evan DeBenedetto, Kyle Bennet Jr., Darius Hickman. One last spot was left, and it was Allen’s turn to hear his fate. 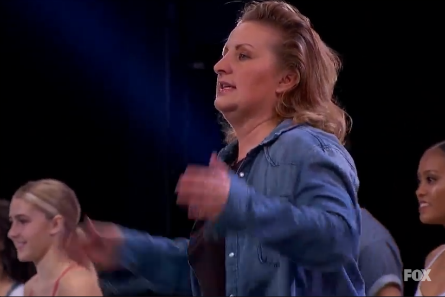 When Allen arrived back to the stage to learn whether or not he’d be moving on to the Top 20, Mary stated that he “blew it” when he ripped off his shirt. She said it didn’t work for anyone. Nigel said he wasn’t on the phrasing of the music. 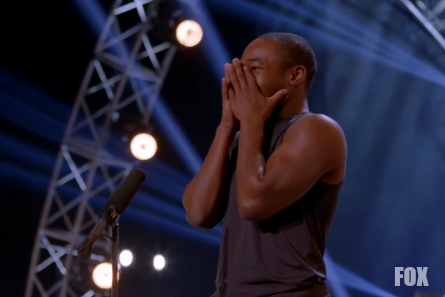 Then, they both told Allen that they didn’t want to see that solo again especially sice he was going to the Top 20! But, the decision was based on his work that week and NOT on that solo. The twist that Nigel announced to the Top 20 dancers was that ony ten of them would be dancing on the Live Shows. The dancers expressions showed that they were floored. 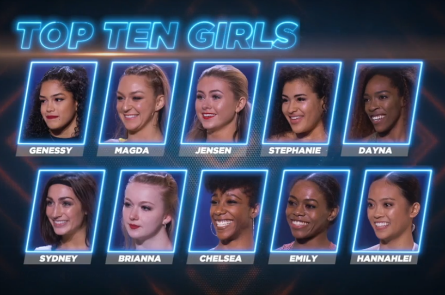 NEXT WEEK: Viewers will see which dancers will make the final cut of making it to the Top 10 for the live shows after working with All-Stars and renowned choreographers. Plus, they’ll have to perform a duet outside of their style.